Posted on Tuesday, December 10th, 2013 at 9:00 am. 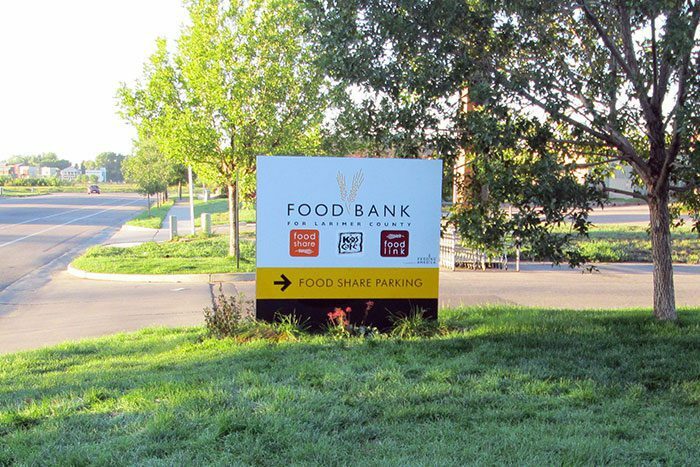 The signage at the Food Bank for Larimer County did not reflect the welcoming image the organization wanted for its clients, donors, and volunteers. The organization wanted to update and we were able to help. In a project completed in October 2013, DaVinci provided improved identification, building, directional, and interior identification signs that were complete with their new Food Share program logo. One of the best things about the project is that we were able to donate 50% of the cost of the $8,000 project to help the Food Bank continue to do what it does best – work towards their vision of a hunger-free Larimer County.